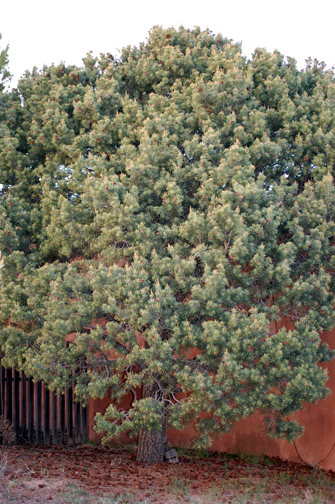 New Mexico’s state tree is a southwestern native that normally grows as broad as it is tall. 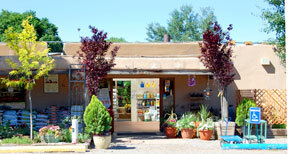 It can be grown in virtually any soil and is very drought tolerant once established. They are bushy and symmetrical when young, but lose symmetry with age. 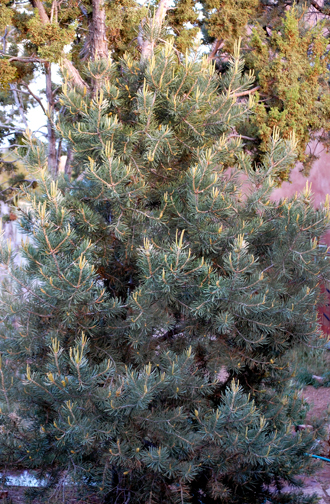 Growth rate is slow to moderate and the spreading branches sweep upward to create a bushy, broadly rounded evergreen with scaly, dark gray bark. The deep green, stiff, flattened needles grow to about one to one-and-one-half inches long. Reddish-brown cones are blunt and rounded in shape, with dark brown edible nuts.